Yarn and Fiber Happenings: Happy April Everyone - Great Spring Classes this Month! Happy April Everyone - Great Spring Classes this Month! Just a quick note to remind everyone of some of the wonderful classes we have that still have room in them. If you are interested in signing up, please give us a call at 603-505-4432 and we will reserve your spot! Thanks! Always wanted to try to knit but never had the opportunity? Come and join us for a free one-hour Learn to Knit Seminar. 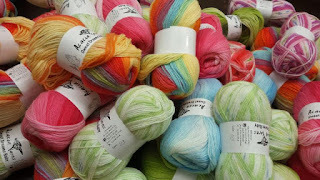 We will provide yarn and needles for you to borrow during this hour and fun will be had by all! JAPANESE LACE KNITTING PATTERNS INTERPRETED - Understanding the Lace Knitting Patterns of Naoko & Kazuko Ichida with Sandy Terp of Moonrise Lace Knitting. This class will help you use these sometimes challenging charts. As we work with several of the patterns by Naoko & Kazuko Ichida you will come to understand how to read and understand their charts. We will rechart into Lace Shorthand, which for these charts, uses a semi-circle chart for the beginning, than a panel chart for the remainder. This workshop will teach you how to rechart any lace pattern in any language. You will be able to truly understand how the stitches are put together to form the pattern. This workshop is appropriate for intermediate to advanced lace knitters who are looking for something challenging and new to learn. 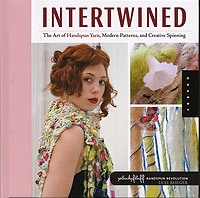 April 4 and 5, 10:00 - 5:00 - Just a few spots left for this class that takes place this weekend.... call now! 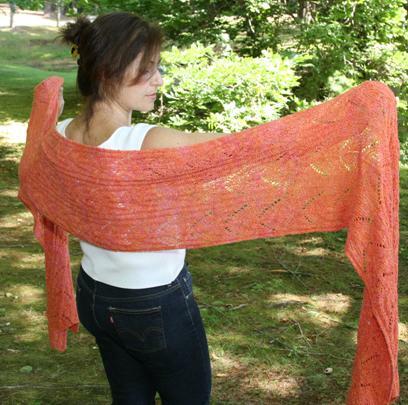 Make a gorgeous scarf for your Mom (or yourself!) just in time for Mother's Day! Learn how to cast on for lace work, follow lace charts, kitchener stitch and blocking. And, check out all our other cool classes!